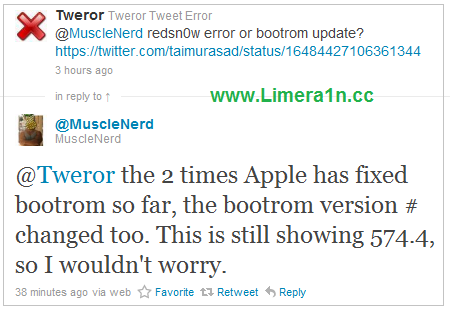 well, it seems that Apple started to patch the limera1n exploit which used in the latest version of Redsn0w, this case has been discovered when someone bought a new iPad running iOS 4.2.1 for his wife as a Christmas present, he suddenly shocked when he was not able to jailbreak it using latest version of Redsn0w. For who don't know, latest version of Redsn0w has been developed using Geohot's bootrom based Limera1n exploit to jailbreak all iOS devices on 4.2.1. Since Limera1n is a hardware exploit, only a new upgraded hardware from Apple could have patched it. This is the interpretation of what has been happened. So it is expected that Apple has patched the new stock of iPhone 4, 3GS, iPad, iPod touch and Apple TV 2G. I made a trip to the Apple Store today to get an iPad for my old lady (Christmas present). She told me she’d love it jailbroken, so I sat down in front of my computer to redsn0w this 4.2.1 iPad. 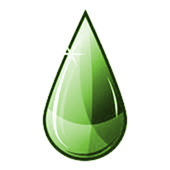 One problem–redsn0w 0.9.6b6 could not upload a pwned iBSS (hanged at the white screen on OS X, upload timed out and rebooted into jailed state with Windows). Furthermore, the device constantly stalls when attempting to dump its bootrom. This leads me to believe the injection vector used via USB has been patched in DFU mode. Case in point: Any iOS device with a serial number xx050 (this week) or higher might be unable to be jailbroken via the limera1n exploit. Slightly older devices may be invulnerable as well. If you found the iOS device comes with serial number xx050 or higher, you may be not able to jailbreak it with existing jailbreak tool. Update: Now MuscleNerd has just confirmed that Apple didn't do this step so far, so all existing new stock of iPhone 4, 3GS , iPod touch 4G, iPad and Apple TV 2G is Jailbreakable with the current jailbreak tools.